We were at my mom’s house this morning, when it fully hit me that autumn is here. She had her fall decor out, and it looked beautiful. Maybe this doesn’t come as a surprise, but I have zero fall decor. Last year I framed my own little orange and black silhouette and called it done. This year, I’m hoping to do this waxing leaf craft from Memories on Clover Lane. I bought the wax for it last year (or the year before? ), but the autumn leaves in our area haven’t been great the last few seasons. If we can find some good ones, we’ll go for it. Usually, though, I’m too busy lamenting the end of summer to think about putting up decorations that will have to come right down in just a few short weeks to make way for Christmas. But I feel more autumnal this year, so we’ll see what happens. Besides my lack of autumnal celebration paraphernalia, something else was brought to my attention through Mom’s decorations. My four-year-old does not know who the Pilgrims are. When asked about the Pilgrim figurines on the kitchen table, she called them Indians. Gasp! This is no one’s fault but my own. The problem is I have a hard time approaching this subject. We talk about how Thanksgiving is a time to be thankful for all we have, but the history of it seems complicated. Maybe I’m projecting my adult views, but when you know how the Pilgrims’ descendants treated the Indians, and when you know how the white people’s diseases wiped out so many Indians, it feels kind of like a polished, feel good story to say, “This is the time when the Indians were kind to the Pilgrims and had a meal together.” The end. Clearly, I need some books. These are the Thanksgiving picture books on my to-read-with-the-kids list. That’s all I’ve come up with so far. 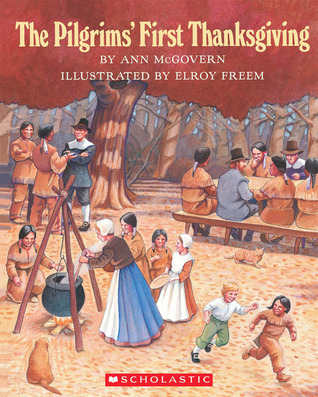 It seems there is a shortage of quality books explaining Thanksgiving. Maybe I’m not the only one who has trouble distilling it into an easy explanation. 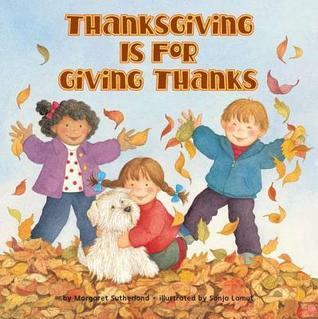 Tell me, what are your favorite children’s books for Thanksgiving? 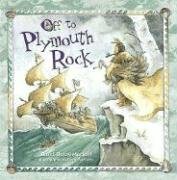 This is Day 11 of the 31 Days of Picture Books series. To read the rest of the series, go here.